Patch testing is used to diagnose whether a patient is suffering from allergic contact dermatitis, a type of eczema caused as a result of an allergic reaction following exposure to a specific substance. It will determine which substance or substances might trigger a reaction in a particular person. The test involves placing multiple patches containing small amounts of common allergens on the patient’s back and leaving them for at least one 48 hour period to see if they cause a reaction. It is possible to test in one series of tests for up to 100 potential allergens. The standard packs used will almost certainly test for sensitivity to nickel, latex, hair dyes, fragrances and other common allergens. If you are having a patch test, for the test to go ahead there will need to be a large enough area of skin in the area being tested which is unaffected by eczema. You will probably be advised not to use any steroid creams which you might usually use to ease your symptoms for as long as three weeks before the test. This is because these creams can affect the accuracy of the results, causing false negatives, where the test indicates that the patient is not allergic to the substance when in fact they are. You will probably also be advised to keep your back protected from the sun for a few weeks before the test as high exposure to sunlight can also influence the results. 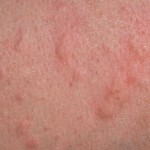 If particular substances are suspected of causing your dermatitis, maybe as a result of exposure to chemicals in the workplace, you might be asked to send samples of these to the lab several days before the day of the first test, so that these substances can be added to the allergens being tested for. A dermatologist (a doctor who specializes in skin conditions) will attach lots of patches to an area of your skin (usually the upper back) with hypoallergenic tape. These patches will each be impregnated with tiny amounts of different potential irritants. 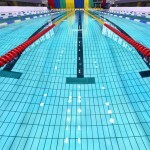 You will then be sent home with the patches still attached, with instructions to avoid taking a bath or shower and to avoid doing anything else, such as swimming or even strenuous exercise, which may interfere with the patches until you return to the dermatologist 48 hours later. At this second appointment the patches will be removed from your skin, to check whether any reaction has taken place which might indicate that the particular substance may cause your dermatitis. You will probably be asked to return in a further 48 hours for another check- up. This helps identify allergens to which your skin might have a delayed reaction. 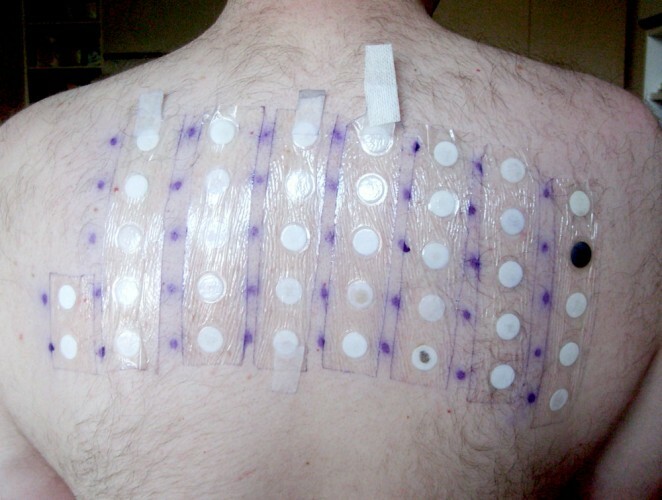 In general, patch testing is very safe, although side-effects do occur in some cases. For example, even though only a tiny amount of a potential allergen is exposed to the skin, in some cases the reaction that is caused can last for a few weeks, potentially causing quite a lot of discomfort. In some very rare cases “angry back syndrome” may occur. This is where all the patches used give a positive reaction, whether or not the substances would normally cause a reaction in that particular individual. 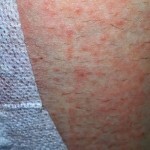 This reaction is most frequently found in individuals whose dermatitis is in or close to the area of skin being tested. Luckily these side effects are rare. It is important to remember that your doctor would not have referred you for a patch test if they did not think that the advantages in identifying the cause of your dermatitis outweighed the risks of unpleasant side-effects. The dermatologist running the test will complete a record chart grading the severity of your reaction to each of the substances to which you were exposed. If the test identifies that a particular irritant causes a reaction, your dermatologist will discuss with you what you need to do to reduce your symptoms. This will usually mean doing all you can to avoid the particular allergen. Unfortunately, patch tests are not always 100% accurate. Both false positives (which indicate an allergy where there is none) and false negatives (which fail to pick up an allergy which is there) are possible. The results should be seen as part of a wider analysis by your dermatologist, including consideration of your lifestyle, your symptoms and other allergies which you or your close relatives may have. This is why it is important that the testing is done under the supervision of a fully qualified dermatologist, who can thoroughly interpret the results in this wider context.